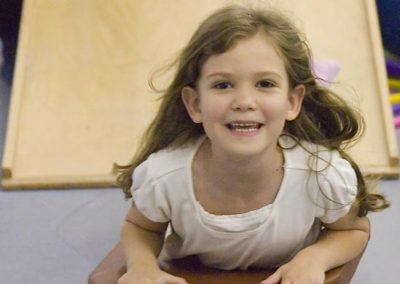 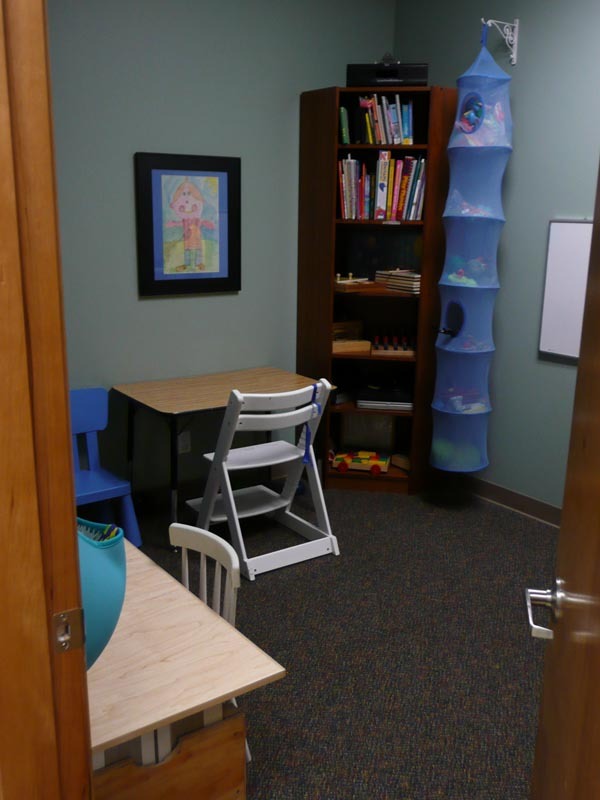 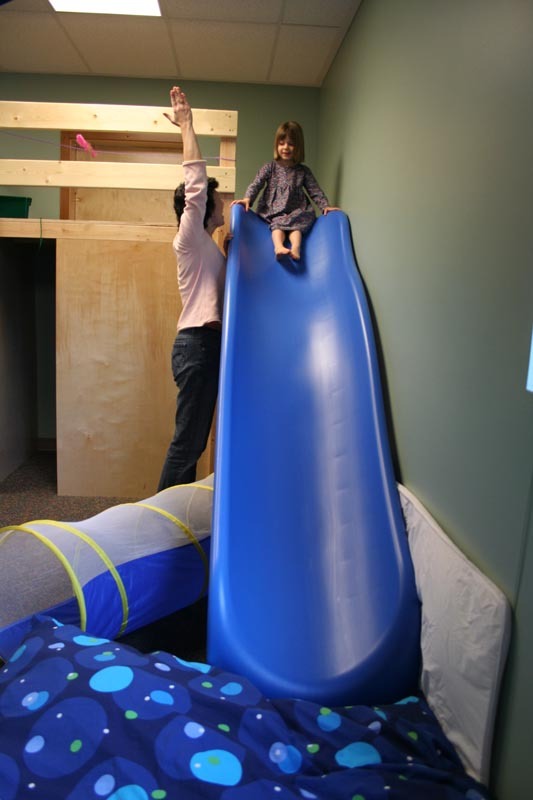 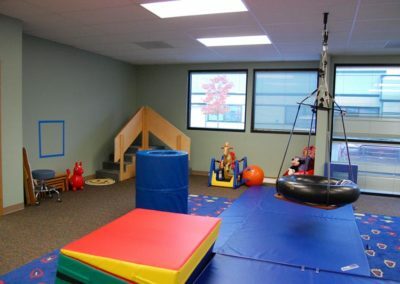 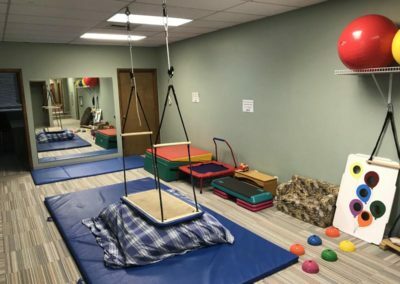 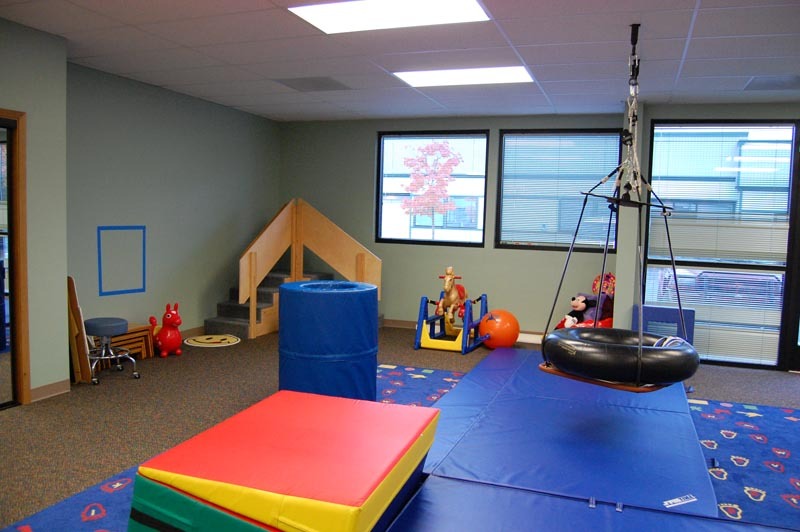 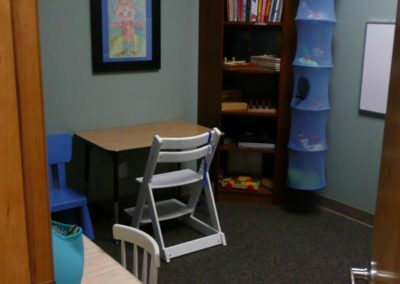 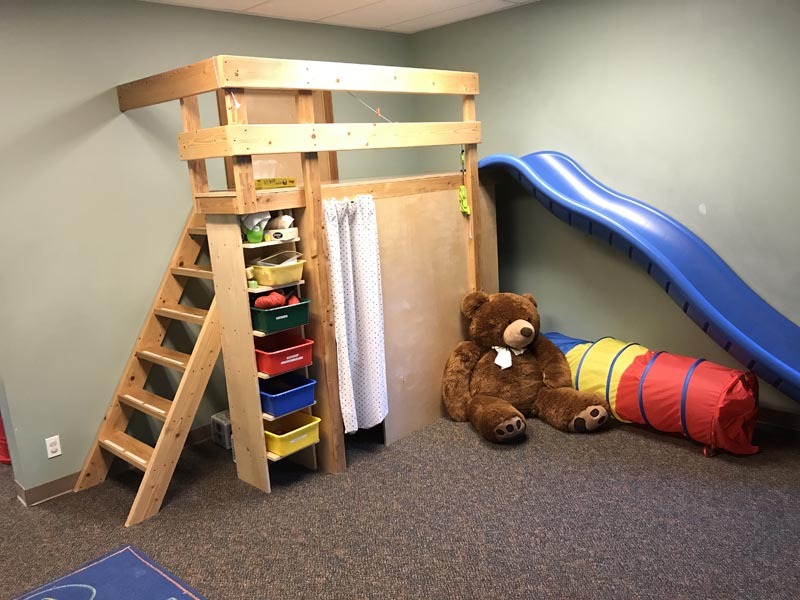 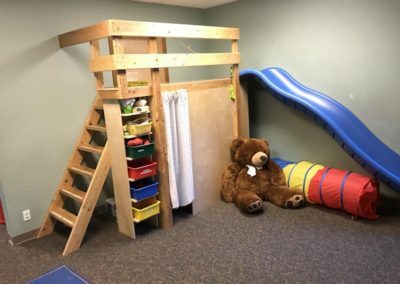 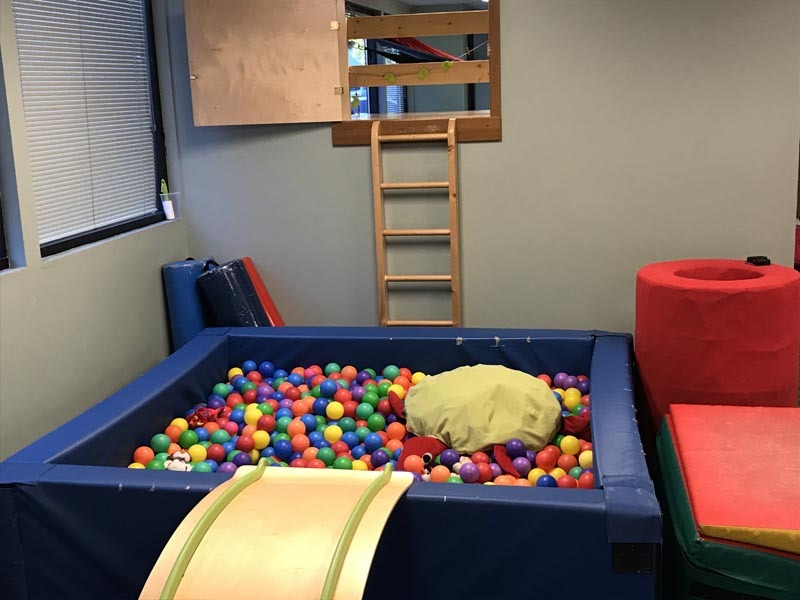 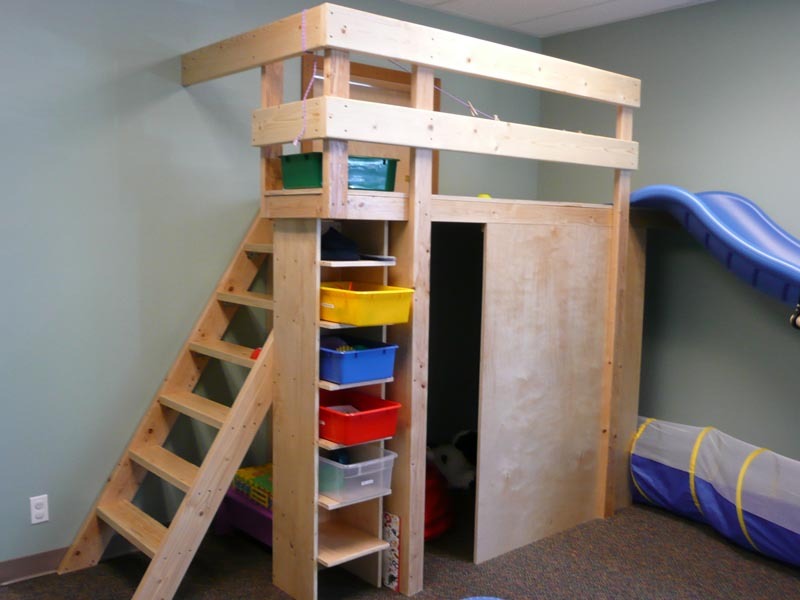 Children’s Therapy of Woodinville’s clinic provides over 4300 square feet of space for children to have fun as they work on developing gross and fine motor skills and learn to improve their communication skills. 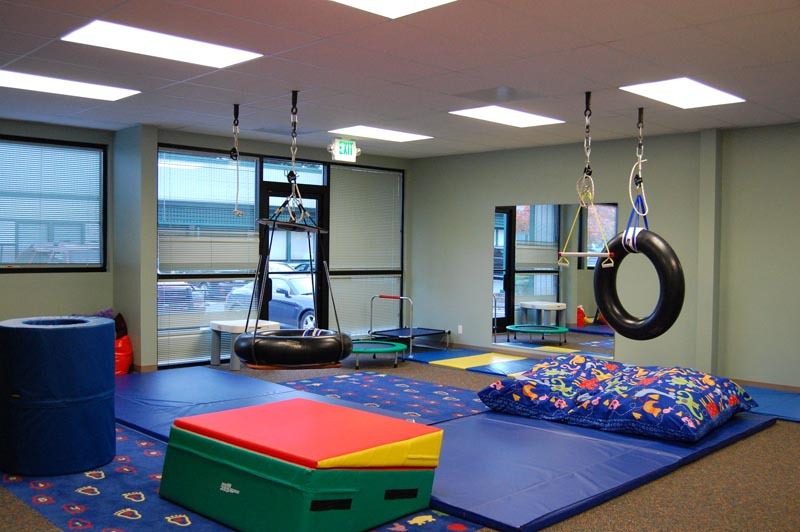 We have four large gyms where children can work on crawling, walking and static and dynamic balance. 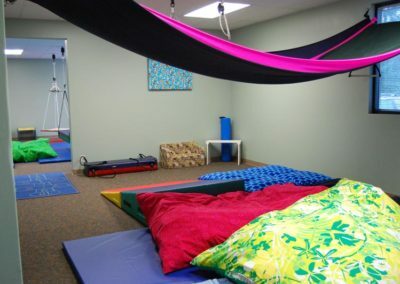 These gyms also have specialized hooks in the ceiling which provide a variety of different activities using suspended equipment including trapeze bars, tire swings, bolster swings, a “helicopter swing”, hammocks and platform swings. 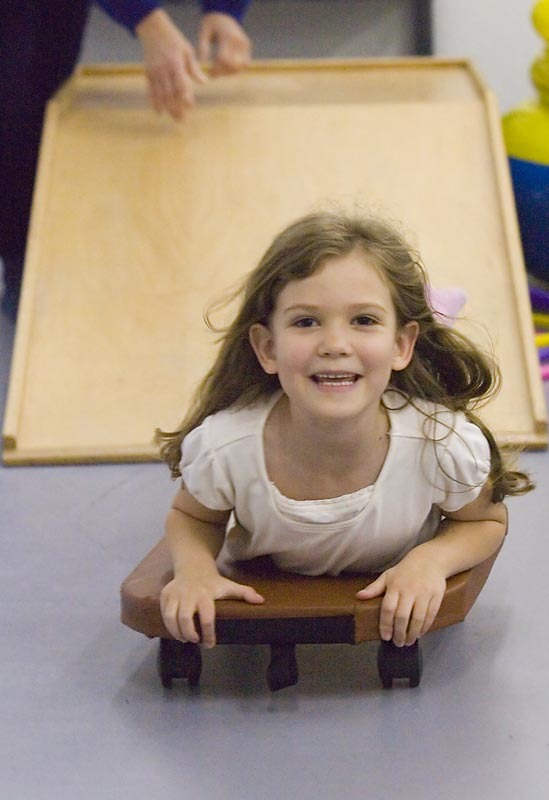 Scooter board activities provide a great way to strengthen anti-gravity muscles, work on motor planning and balance, and just have fun!! 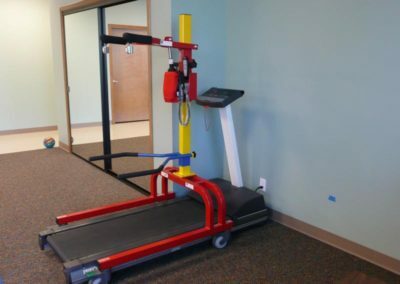 Our therapists also have access to a treadmill and a Lite Gait Trainer. 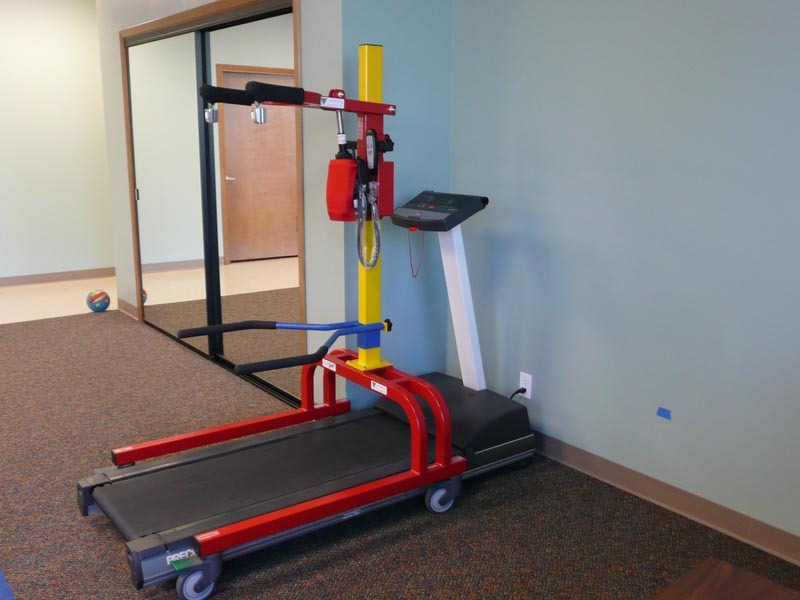 The Lite Gait Trainer provides partial weight bearing gait training for clients with significant ambulation delays. 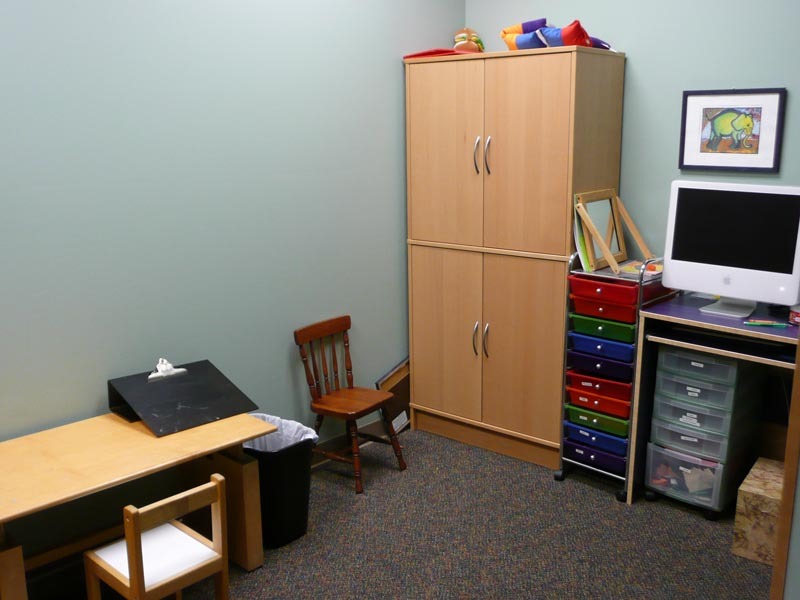 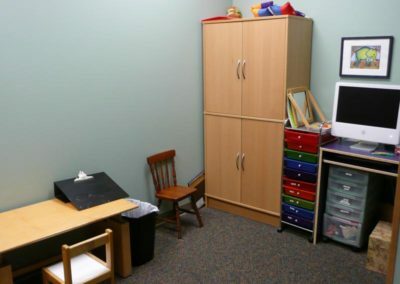 Our clinic also has 11 small treatment rooms where the therapist and child can focus on table work, have a quiet space for speech therapy, work on fine motor or dressing skills or provide a private space for infants or children who need a less stimulating environment. 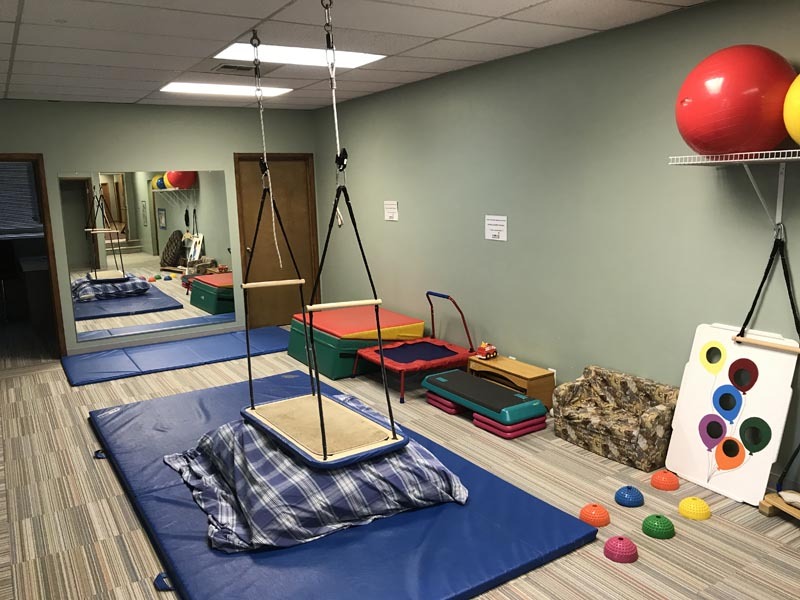 With a variety of space and equipment at their disposal, our therapists can plan creative and challenging activities for your child as they work to help you and your child reach his/her goals.